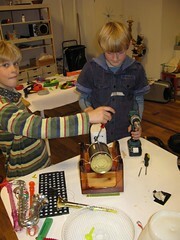 In their workshop the Staalplaat Soundsystem will show participating kids that fancy Japanese devices or expensive instruments are not at all needed to make great music – instead they will demonstrate that all you really need can easily be found in everyone’s own kitchen or cellar, if combined with a little bit of research and some playful modification. 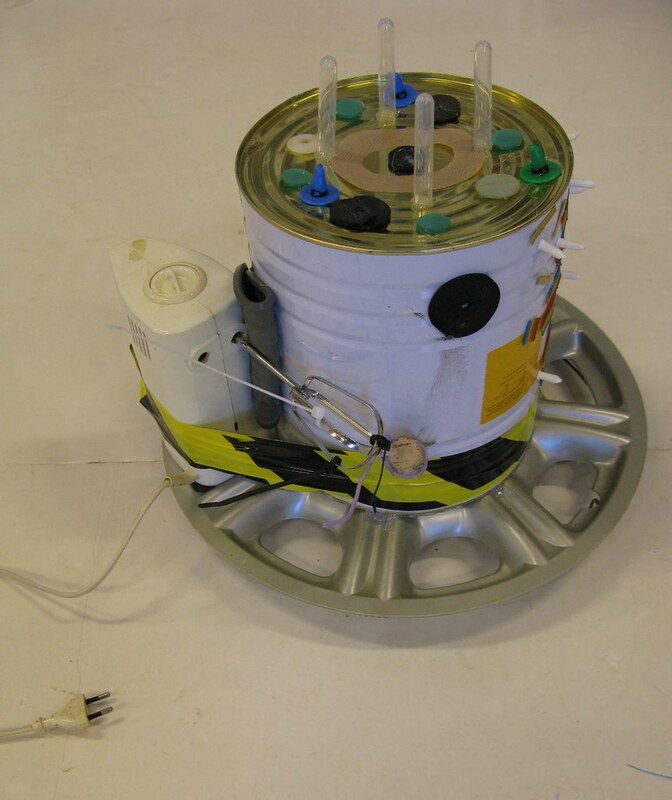 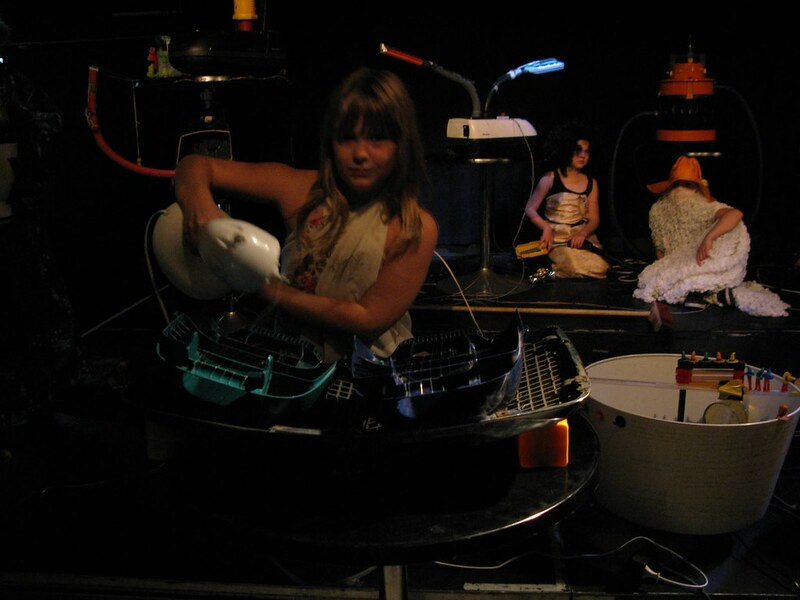 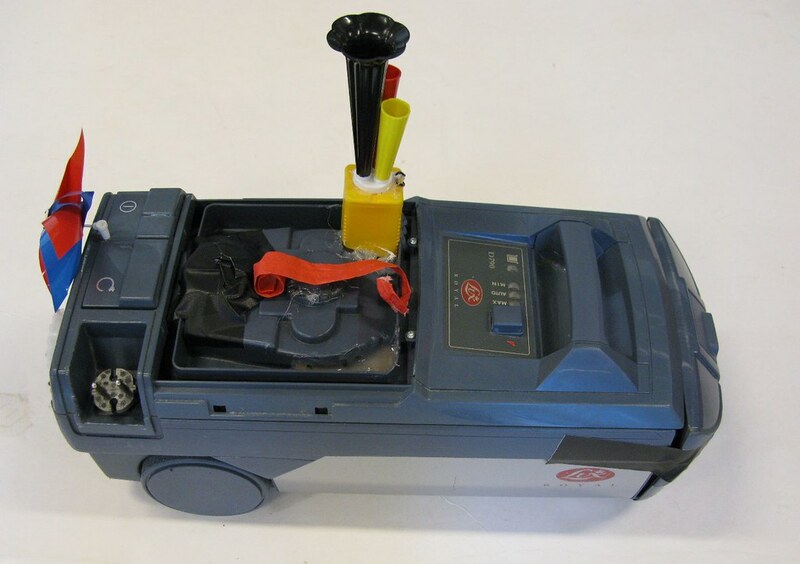 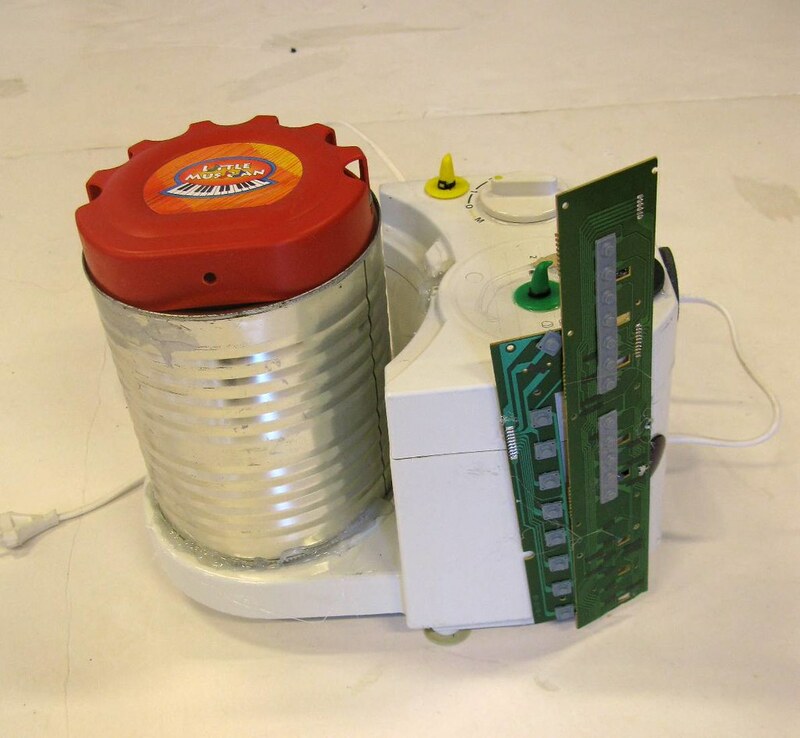 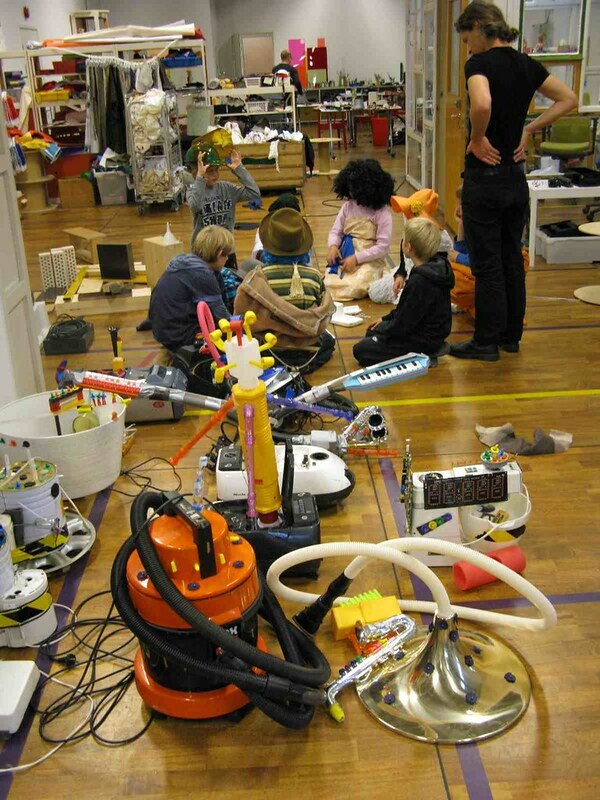 During their performances and installations, usually featuring odd machine orchestras constructed from a plethora of found objects, Staalplaat Soundsystem noticed early on that children were fascinated by their way of playfully misusing everyday household utilities. 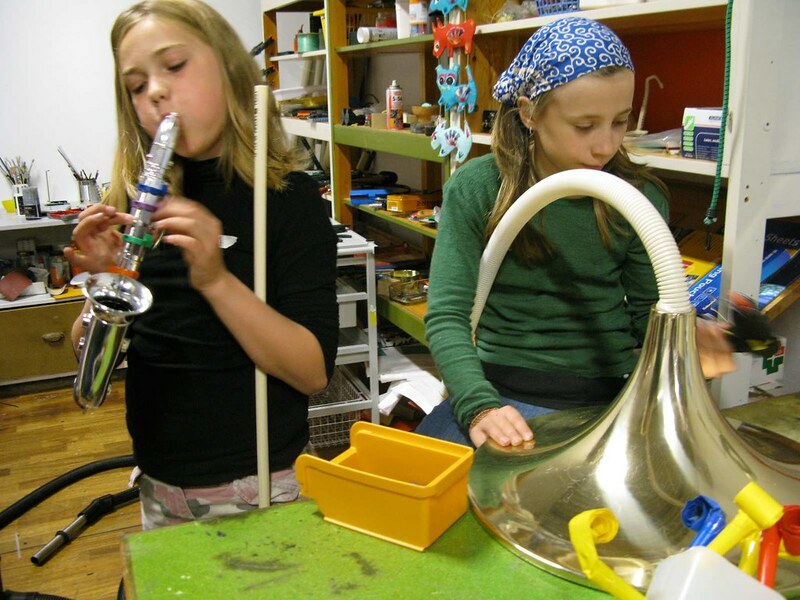 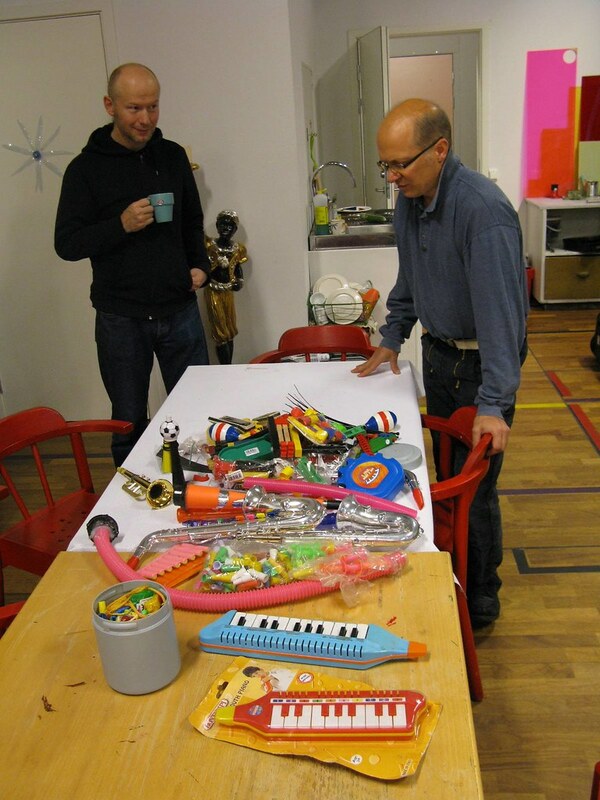 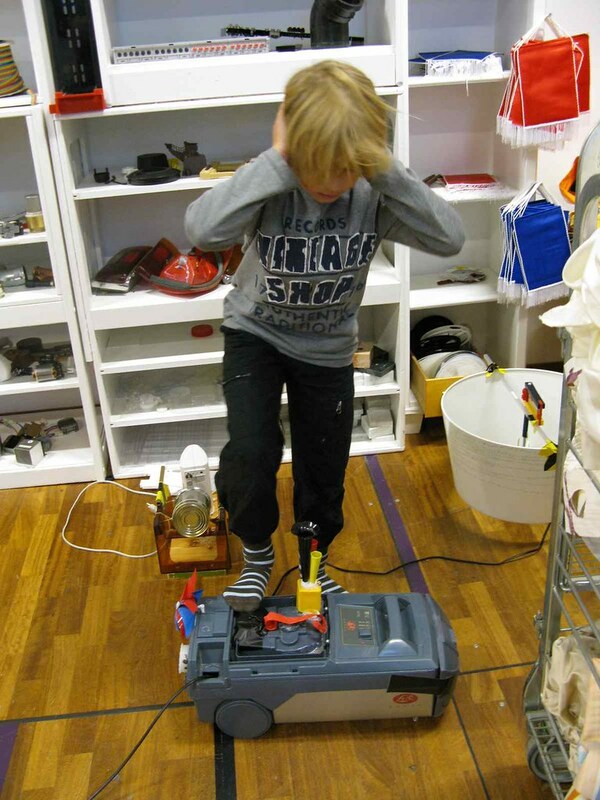 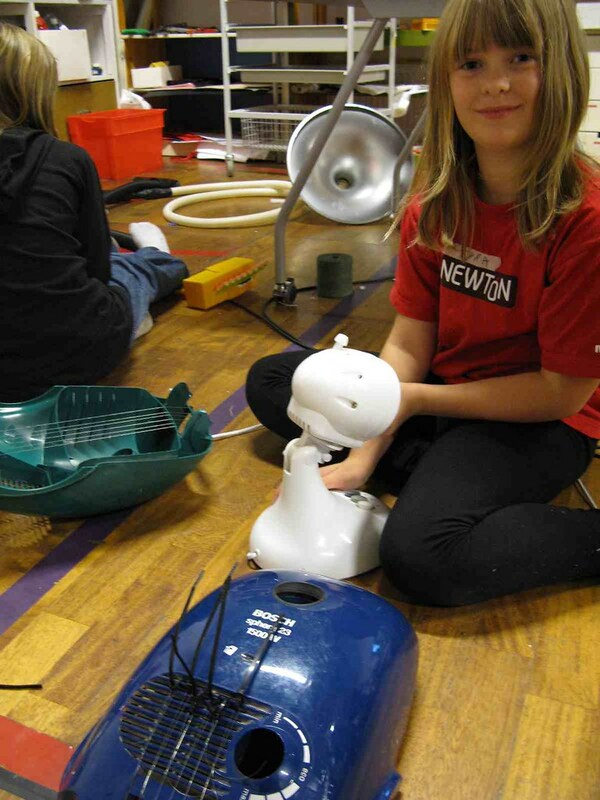 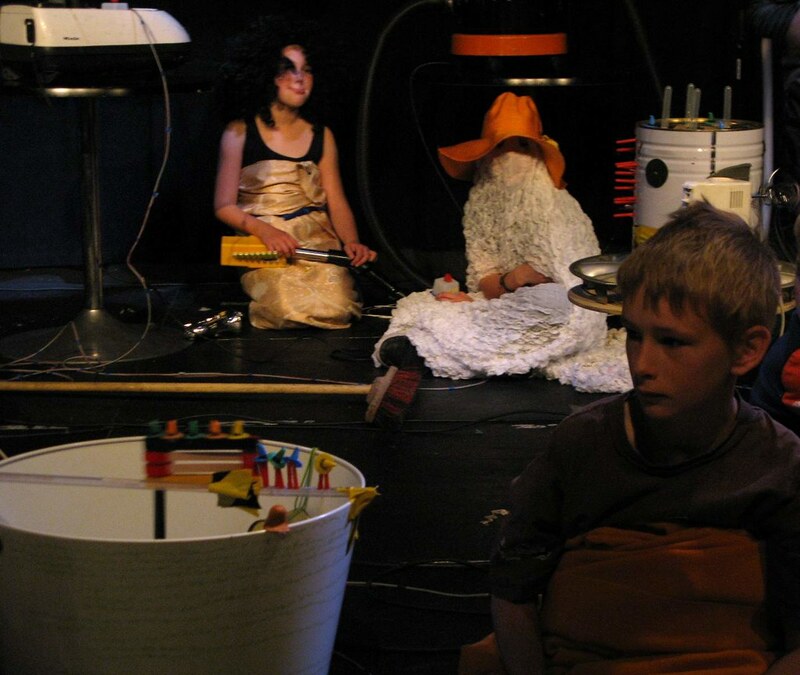 On the invitation of Avanto Festival in Helsinki, they consequently developed their first instrument building workshop for children in the year 2005, and have been refining their concept and approach ever since. 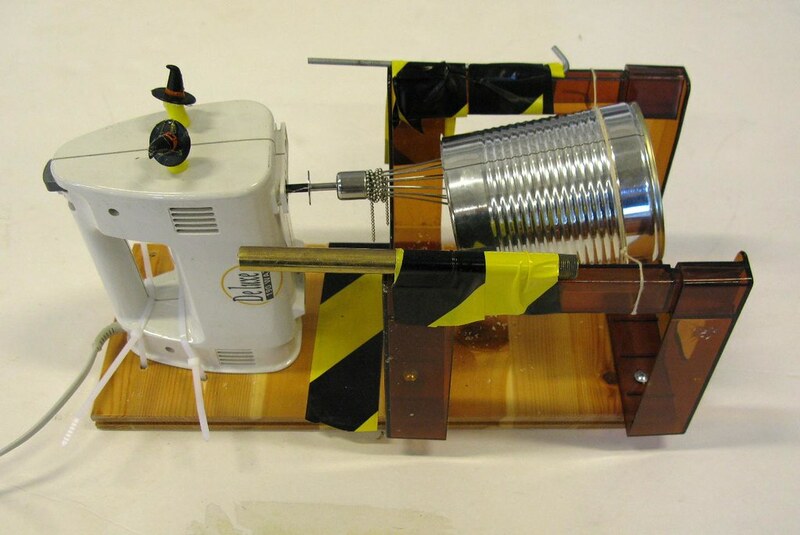 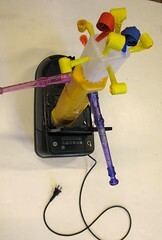 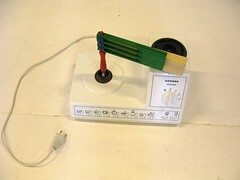 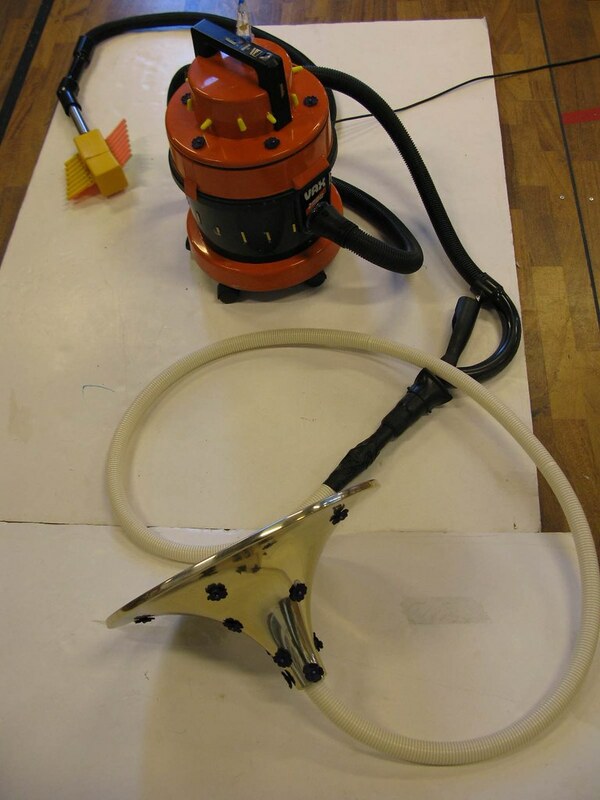 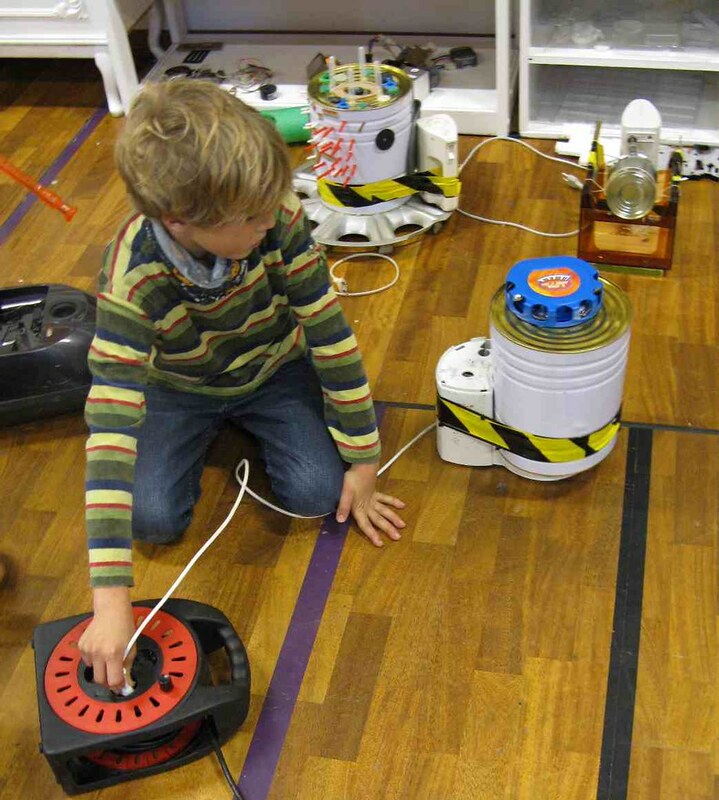 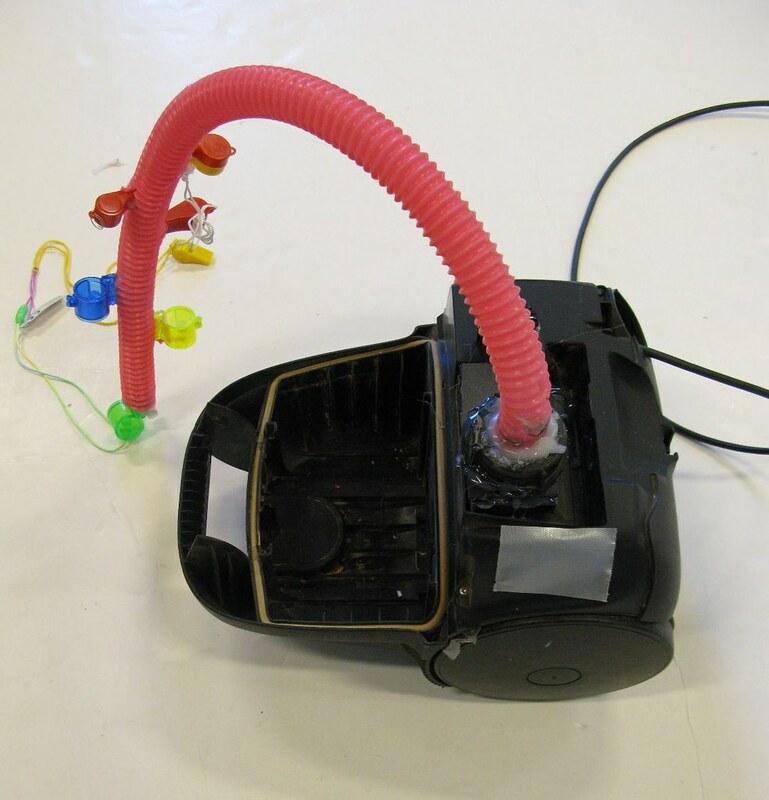 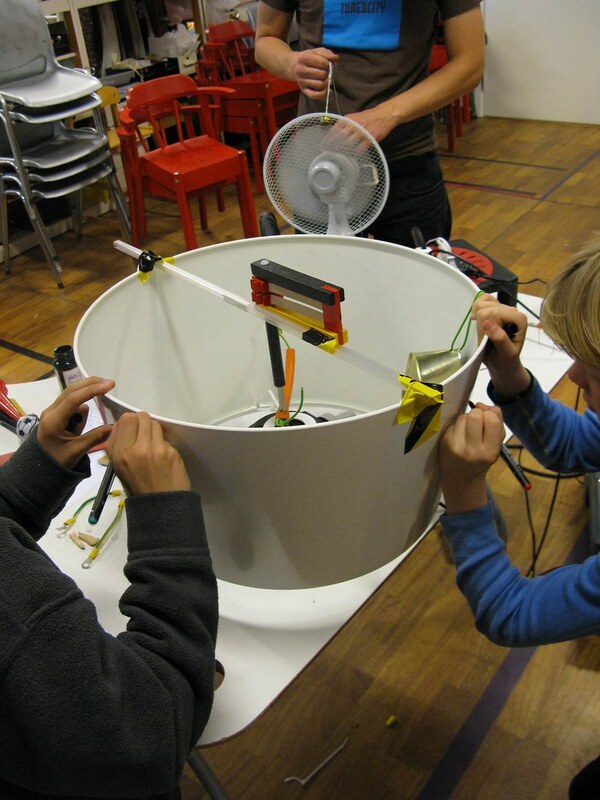 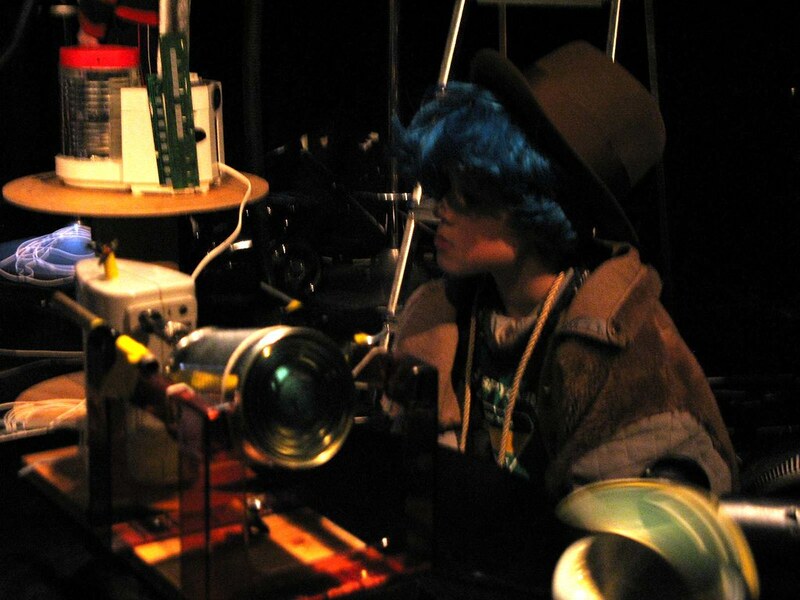 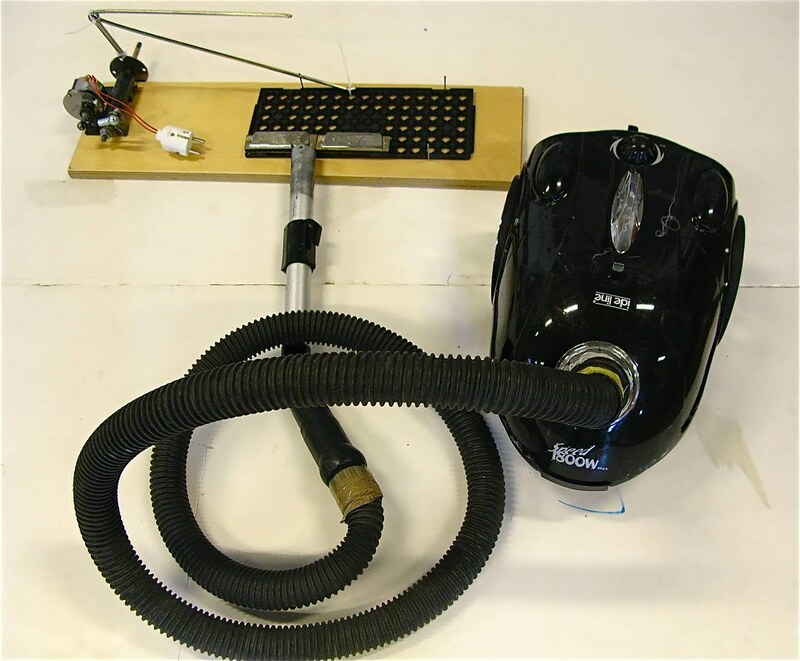 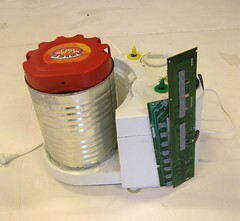 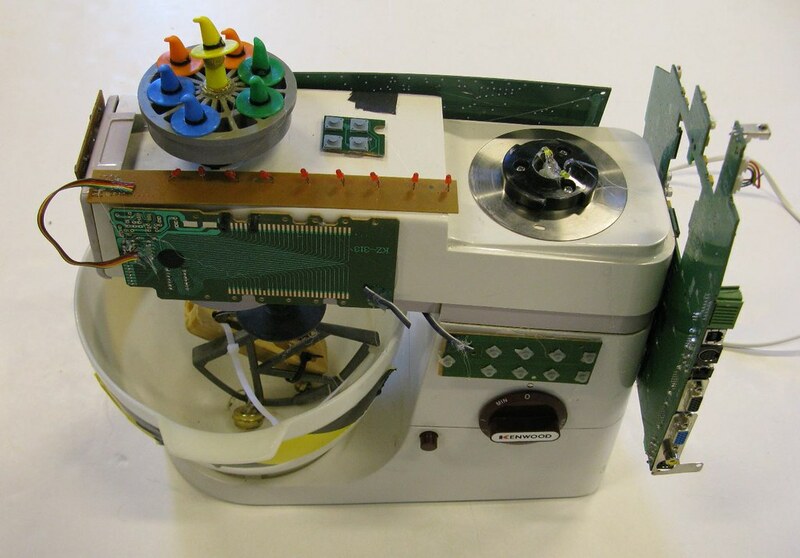 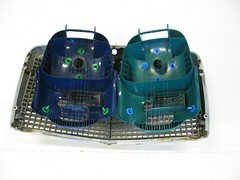 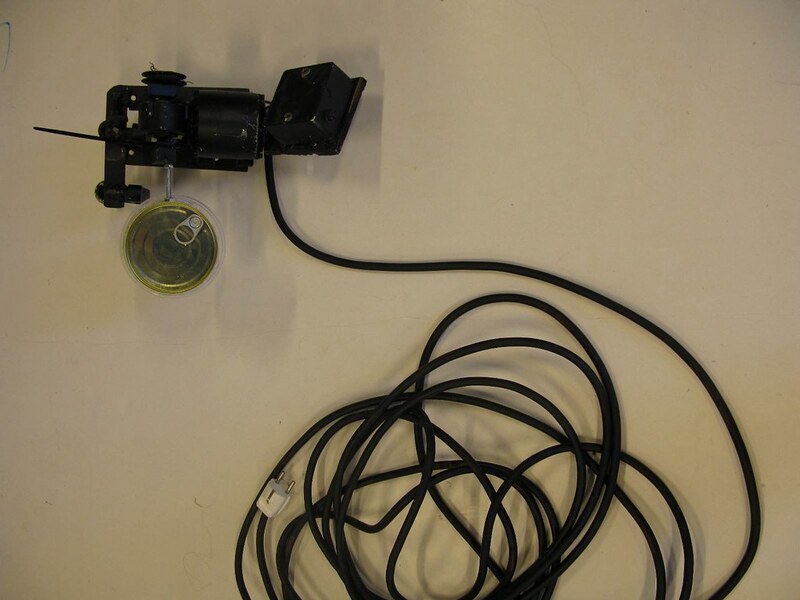 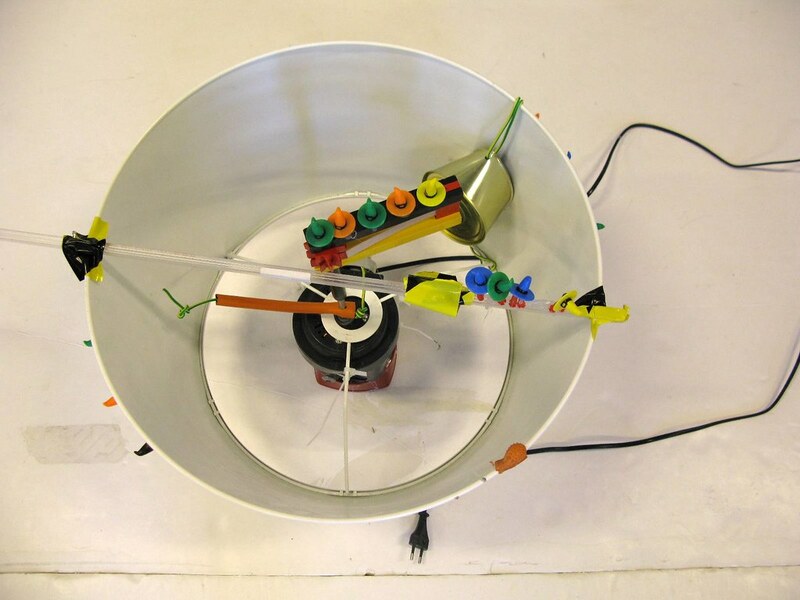 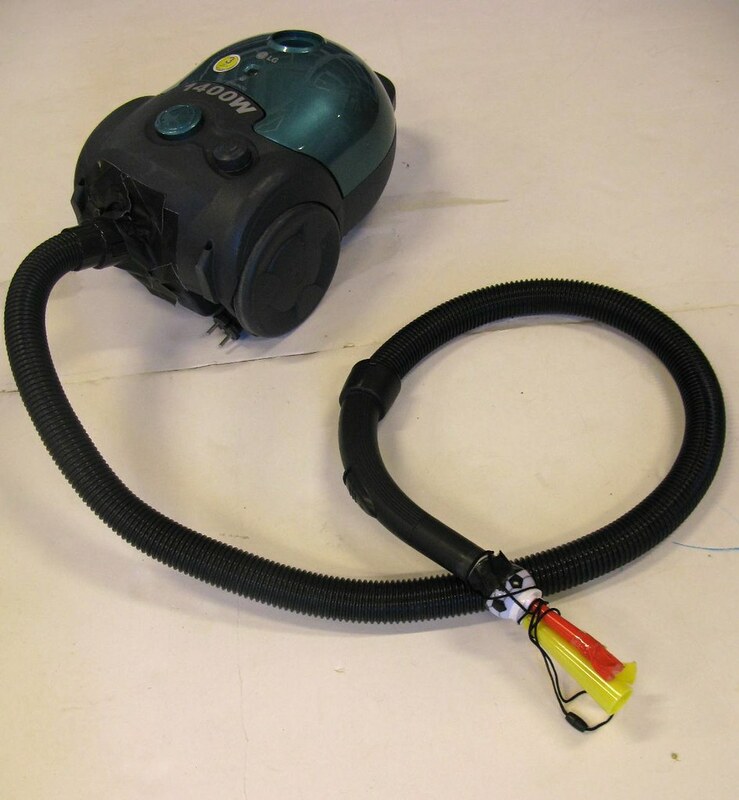 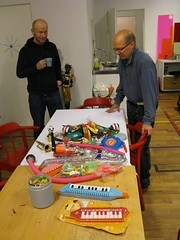 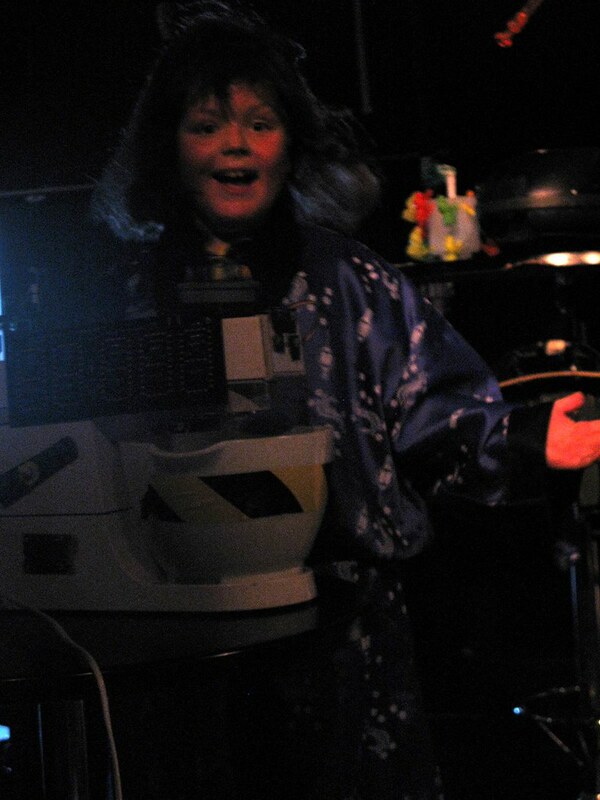 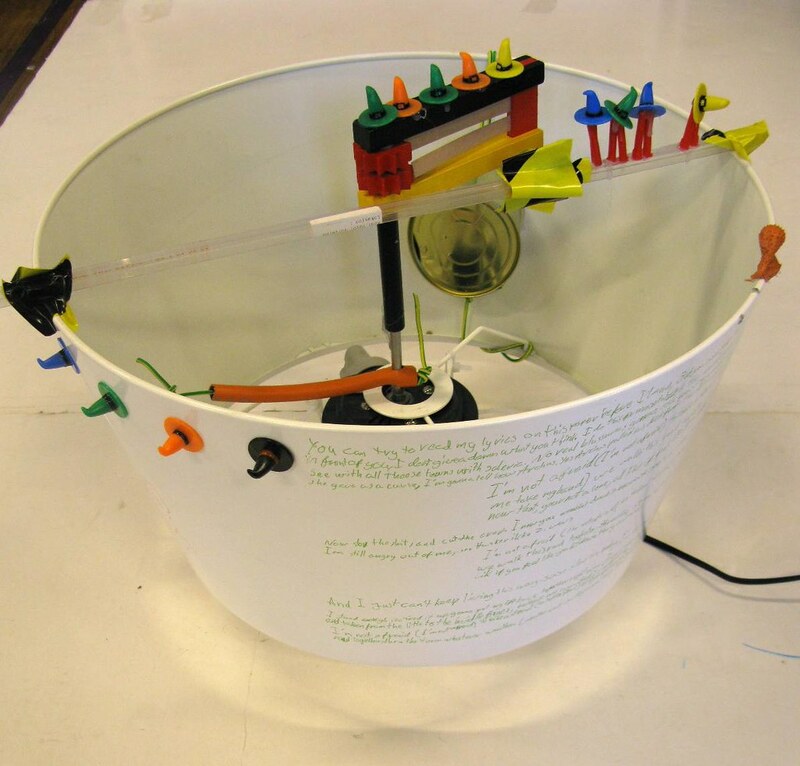 At the core of the workshop is the idea of avoiding the ‘copy’ or ‘rebuild’ of what already exists, and instead embarking with the children on a ‘research quest’ for new sound sources and noise-making devices – quite similar to the Soundsystem’s regular working methods: play, experiment, test, trial and error. Guided by the members of the Staalplaat Soundsystem, the kids will work together in small groups and help each other with their ideas. 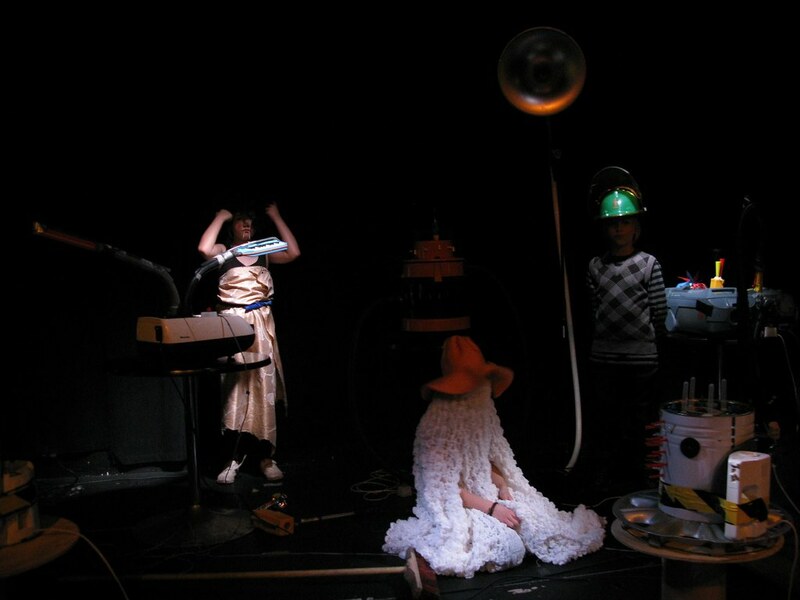 The end of the workshop will see a joint performance of the young participants together with the Staalplaat Soundsystem in the form of a variation of John Zorn’s ‘Cobra’ concept.